BuddyCRM Spend more time selling and grow your business with our feature packed, yet easy to use, online CRM software. In order to give you the best possible experience of BuddyCRM that is customised to you, we like to have a chat (via email or phone, your choice) to find out a little bit more about your business. So, please fill out the form and we’ll be straight back to you. Why we take this approach. See your next activities, how well the team is doing, and check the sales pipeline all in a glance with the Buddy Dashboard. BuddyCRM is developed by sales professionals who needed a CRM more intuitive than Salesforce and more powerful than Goldmine to meet their strict demands. For all packages above entry level, get a dedicated CRM Manager to take the pain out of managing software and let you manage sales. There's no learning curve with BuddyCRM. Jump straight in and you'll instantly be able to start managing your customers, building your sales pipeline and closing those sales. BuddyCRM works online so it can be accessed from any browser, anywhere. Plus we have a mobile app for iOS devices. 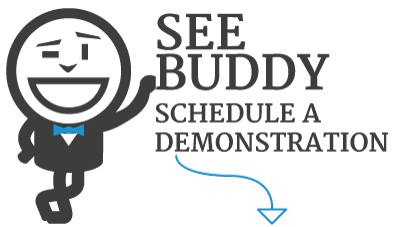 BuddyCRM is competitively priced and packed full of features other products wouldn't dream of giving you. Join the Buddy mailing list. © 2019 BuddyCRM. All Rights Reserved. Is BuddyCRM right for you? We are passionate about how our software can help organisations make their sales processes more consistent, more straight-forward and more collaborative (as well as more profitable!). As such, we work closely with our customers, who view us as a partner as much as a supplier. You can read more about who we are and our approach here. 1. They weren’t the right type of organisation to benefit from our application. 2. They had very little time to actually investigate or use the trial, or even set it up fully. 3. They knew they needed “CRM” (maybe because someone told them!) but were unsure what it was or how it would help their business. 4. They thought they could just open an trial account and it would fix all their business problems. 5. They weren’t committed to introducing “CRM” as a process as well as a software system. Therefore, with the release of our new version, we have taken a new approach. We want to help people out who are looking to solve a problem or improve the sales function of their business. Our current customers will tell you that our greatest strength is our support so we want to demonstrate this from the start. We now we like to have a chat with you first, even if just over email. 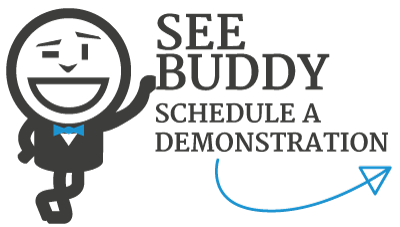 We want to get a basic idea of the business challenges you are trying to solve so we can help tailor Buddy for you. By having a quick email exchange, or chat on the phone, we can make the best use of your time. We can advise whether we are the right product for you and help match your sales processes or business challenges into our application. It will help save you time in the long run. Please drop us a quick email at support@buddycrm.com with a few lines about your business and what you are looking to achieve and we’ll come straight back to you – maybe with a few questions and maybe with some suggestions. We can then get a tailored demonstration set up with some configuration already done based on what you have told us and go from there. We’ll even visit you at your site.